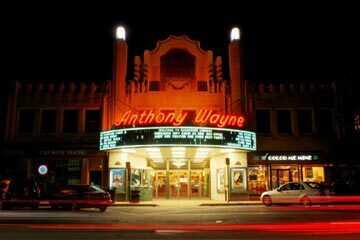 Ayerle says Wayne’s First Fridays should also be considered a ‘green event’ since they are encouraging everyone to walk instead of driving into downtown Wayne and those considering a night in the city (or even those coming to the Main Line from the city and taking the R5) to stay and support local. 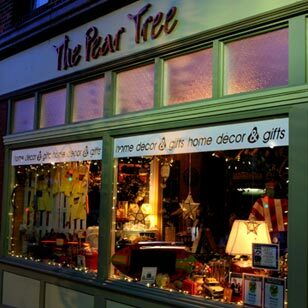 The merchants are cleverly promoting their First Friday with the motto ‘Reduce Your Carbon Footprint: Walk around Wayne.’ Ayerle will have a Mimosa art reception highlighting local quilting and fiber artist Trina Mansfield (www.trinamansfield.com) who creates pictorial quilts. 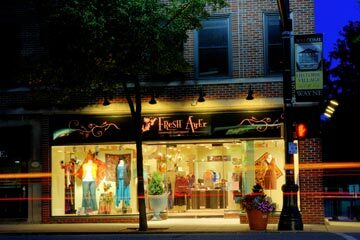 Mansfield’s unique works are currently featured in Fresh Ayer’s colorful window display. 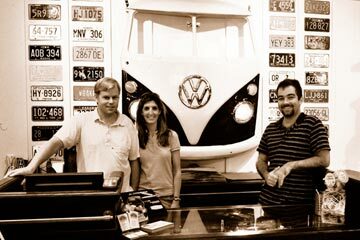 In addition to Ayerle’s efforts, the owners and staff of Wayne’s newest unique outdoor lifestyle store, Out There Outfitters (www.outthereoutfitters.com), are spearheading the night of activities. Outfitters employee and co-organizer of the inaugural event, Sarah Hamilton, has paired up with Ayerle working diligently in the last few weeks to bring a high level of local anticipation. Outfitters owner Zeke Sieglaff is offering a storewide 10% discount for the event and says those coming to Wayne on Friday can expect a party-like, dynamic atmosphere all over the town and especially inside his store. “We will have our doors open and can’t wait to host the families and kids who come to First Friday. We think it’s a great idea, makes a lot of sense and the Main Liners will enjoy what we have to offer with lots of food and beverages for everyone,” Sieglaff said. Outfitters has an array of upscale active outerwear for kid’s and families and fits in well with the kid-friendly theme of the night. Other activities include a beer tasting at Wayne beer distributor The Beer Yard (www.beeryard.com), wandering musicians and special store surprises. Despite weeks of long hours and meetings, Ayerle says all the work and preparation has been well worth it because the night has ignited a new level of excitement and community within the local business owners. “A bunch of the stores are going out of their way to do something cool and exciting. One thing we really emphasized to the merchants is that this inaugural event is really what you make of it. October 3rd will set the stage for the other nights we have planned in November and December. And, everyone seems to be determined to be making it into a fabulous event and stepping up to the plate!” It seems like First Fridays in Wayne are destined to be a homerun. 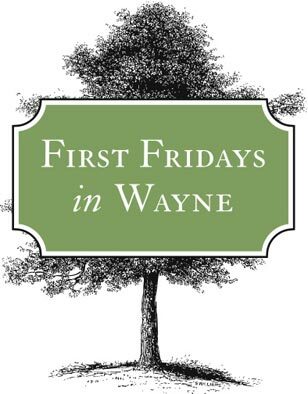 First Fridays in Wayne, one of the Main Line’s most sidewalk friendly towns, will begin on October 3rd from 5-9pm and continue through December. the stores. It was nice to see a lot of the merchants staying open late, plus the weather was awesome. Hope they keep this up.